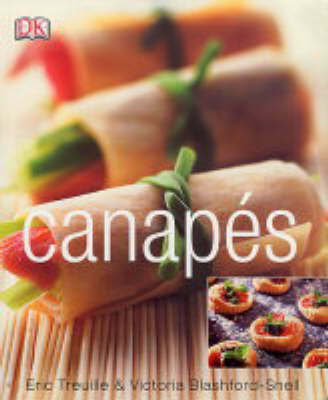 Content previously published in "Canapes" (ISBN: 9781405344197). This book presents more than 250 recipes from around the world. Recipes are accompanied by full-colour, step-by-step photography and fool-proof instructions. There are indispensable preparation tips, menu suggestions for a variety of occasions, and essential hints on planning and portion allocation, making this a uniquely practical guide to successful entertaining. Create fabulous finger food without fuss with this collection of inspirational ideas for entertaining in style. Over 250 recipes from around the world are illustrated with step-by-step photography and fool-proof instructions. There are indispensable preparation tips, menu suggestions for a variety of occasions, and essential hints on planning and portion allocation. Make this your gourmet guide to successful entertaining.